What have I done? I harness the thought. Cease all reflection and wrench free of my mortal body. I soar up, up into the gloaming, snapping the ties that tether me to life. Dead, I have no use for ties. Not bound for Hell? Where then? Fear has eluded me for so long that I take a moment to recognize it. A hollow-bellied feeling it is, as annoying as a bone stuck in my throat. “Am I to be reborn then? Am I to begin a new life, and forget the past?” Pain, sharp as a blade, lances through me at the thought. Forget my past? My family? Even her? Was that my punishment? To forget all that made me human? It must be so. For have I not betrayed them as surely as I’ve betrayed my prince regent? I can imagine the horror only too well as I have battled with evil all my life. But I am done with wars. I am done with defeat. I won’t waste another lifetime fighting. Falguni Kothari is a New York-based hybrid author, and an amateur Latin and Ballroom dance silver medalist with a semi-professional background in Indian Classical dance. She writes in a variety of genres sewn together by the colorful and cultural threads of her South Asian heritage and expat experiences. She is published in India in contemporary fiction with global e-book availability, and launches her mythic fantasy series, the Age of Kali, with SOUL WARRIOR. When not writing, dancing or being a domestic goddess, she fools around on all manner of social media, and loves to connect with readers. 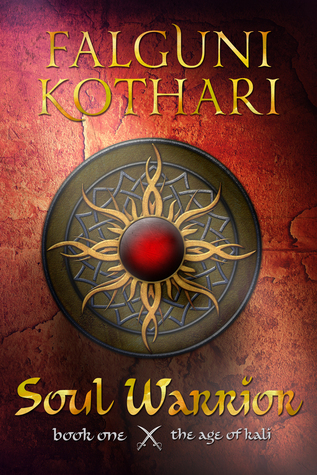 Follow The Book 's board Soul Warrior by Falguni Kothari on Pinterest.